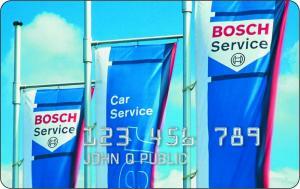 Braxton Automotive Group, Inc. offers easy financing with our Bosch Service Credit Card application. No interest if paid in full within 6 months*. *MINIMUM MONTHLY PAYMENTS REQUIRED. Applicable to purchases made January 1 through June 30, 2013. APR: 22.8%. Minimum Finance Charge: $1.00. CFNA reserves the right to change APR, fees and other terms unilaterally. ***Payments cannot be made at a store location.